Yesterday’s Nindies Showcase started out with the major announcement of Cuphead for Switch. A year ago, not many could have seen this happening. 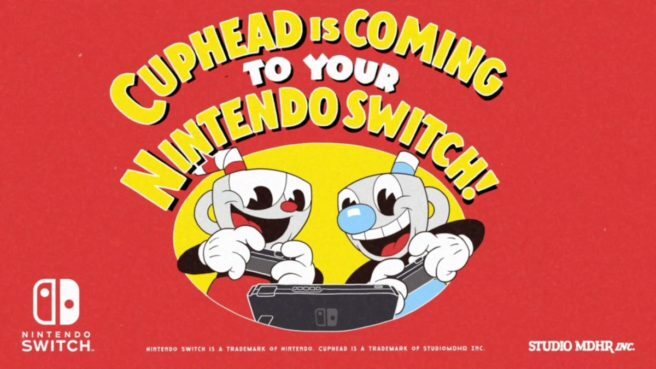 Cuphead started out as an Xbox One and PC exclusive, but will now be appearing on Nintendo’s console next month. Kirk Scott: We’re always trying to get the best content on the platform. So it’s organic, like “Hey, this would be a great idea.” Then somebody at Microsoft says, “Hey we think this would be a great idea too.” Then they talk to those guys and it just happens. Vincent Chon: Our strategy with indies is “I really just to let you guys do your thing.” We don’t want to be a roadblock there, we just want to bring great games to fans.